On-loan AC Milan midfielder Tiemoue Bakayoko has highlighted his desire to remain at the San Siro after impressing this season. The Frenchman has been with the Italian giants on a temporary deal this season from Chelsea and has become a key player under Gennaro Gattuso despite a tricky start to the season. He has made 26 appearances in all competitions and has not missed a minute of Serie A action since late December. The 24-year-old struggled throughout his first season with Chelsea after joining from AS Monaco and has suggested that he would like to continue his positive form in Italy should the move be made permanent. Talking to French publication Nice Matin, he said: “Who wouldn’t want to stay at a club like AC Milan for a long time? “But I still have three years left on my contract at Chelsea and I do not control all the elements. AC Milan currently sit fourth in the Serie A table as they continue their pursuit of UEFA Champions League football. 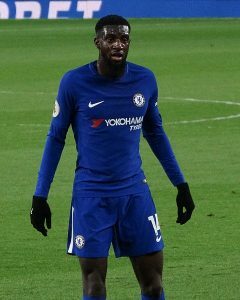 Bakayoko has not yet scored a goal for the Italians but he is available at a price of 20/1 with BetVictor to score the opening goal against Cagliari on Sunday. Get up to 150 Free Spins on Elements Slot!